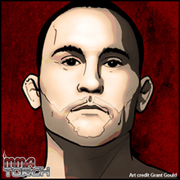 Once again, the battle for the UFC Lightweight Championship has necessitated a second consecutive fight, as Frankie Edgar will get his immediate rematch with Ben Henderson. Henderson took the title from Edgar by decision in a very close and hotly contested bout at UFC 144 in Japan less than two weeks ago, and on Tuesday Edgar and the UFC revealed that the rematch will happen this summer. After capturing the title back in 2010 in a controversial decision over B.J. Penn, Edgar then defended the belt against Penn in his next fight. He convincingly defeated Penn by decision the second time around, and then got matched up with the only man to hold a win over him: Gray Maynard. The first Maynard bout was an instant classic last January, with Edgar battling back from nearly getting finished in the first round to draw with Maynard at UFC 125. That draw brought about a third fight between the two last October, with Edgar scoring a fourth round TKO and becoming the first person to defeat Maynard in official competition. With Edgar having a case for three rounds at UFC 144, his argument for an immediate rematch was simple. However, UFC President Dana White – along with many others – wanted to see him drop down to featherweight for an immediate title fight with Jose Aldo. That would have given a likely title shot to Anthony Pettis, who knocked out Joe Lauzon with a head kick on the UFC 144 card. Edgar would not concede, however, and refused a drop to 145 lbs. White was unsure what the UFC would do as late as Tuesday afternoon, but a decision was made after a conversation with Edgar following a UFC on Fox 3 press conference in New York City. No exact date has been nailed down for the fight, but it will happen on one of the UFC’s summer events, according to White.